There are a lot of gifts you could give this holiday season, but when it comes to something really meaningful, there’s nothing quite like the gift of a book made with your own hands. 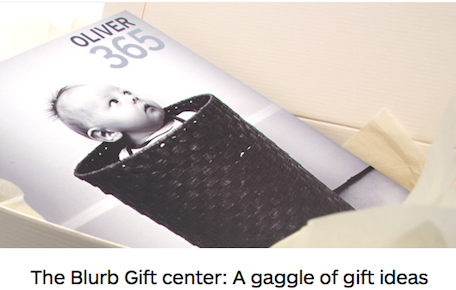 But before you start having visions of gluing and sewing together pages, check out the Blurb Gift Center. Blurb lets you make seriously beautiful books using their free tools. Just add photos and text, choose your options (like paper and cover type), and then order. Of course, you do have to decide just what kind of book you want to make. But relax, because the Blurb Gift Center has the perfect tools and some great ideas.